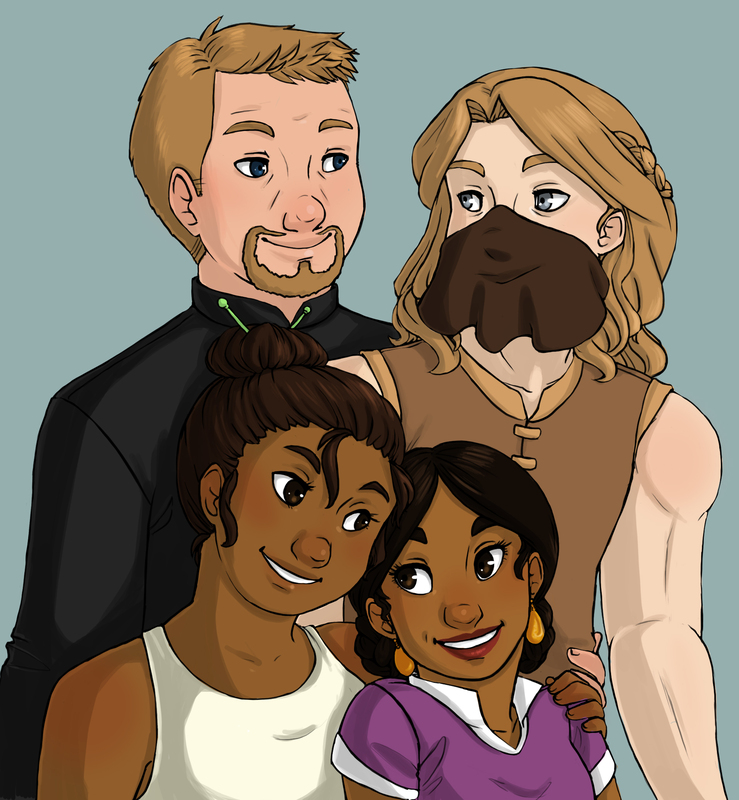 The four main characters of The Second Mango and its sequels, as drawn on commission by akidoodles. Here is her commission info. Queen Shulamit, the cuddly intellectual lesbian star of the series, is the one in the lower right corner. Now, let’s all hope that a fancy French restaurant will know what ‘gluten-free’ means! Image | This entry was posted in Mangoverse and tagged Art, ashkenazi, bisexual, cartoon, diversity, family, family of choice, found family, jewish, jewish characters, jews of color, lesbian, lgbt, lgbtq, queer. Bookmark the permalink.